Bitstamp is showing rising buy volume in the last 12 hours, moving bitcoin slowly but steadily towards its 200-hour moving average. Once a trend is established above the 200-hour moving average traders can more confidently create a short-term position without overexposing themselves to a sudden pullback. Bitcoin is showing largely overbought conditions with an RSI that is clearing previous Highs and pricing clearing higher Lows. 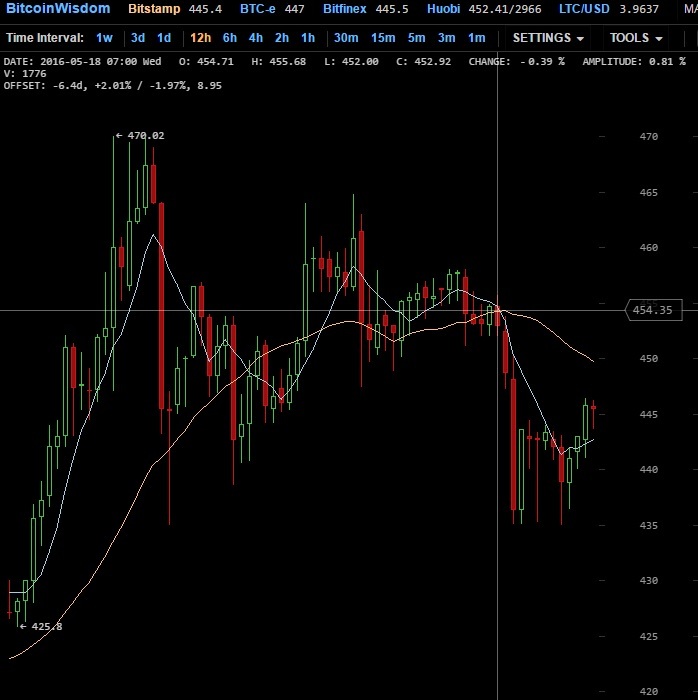 This is creating a reverse divergence from the current price level of $445 (21:45 GMT). These conditions suggest a reversal towards the previous support line of $435, where large levels of support are forming. Should bitcoin break above the 200-hour moving average and continue the slow rise, oversold conditions may not affect price until seeing major resistance at the $475 level. This is definite possibility under the current conditions, which combine increased volume with a bullish general sentiment. 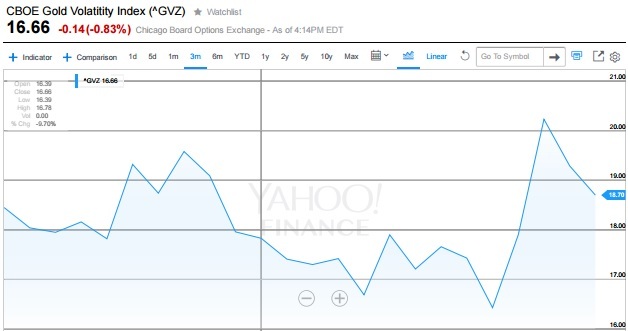 In April, bitcoin price volatility was below gold’s for 28 straight days. While this in no way indicates a trend that will continue, it is a significant benchmark. As the safe harbor for investment, gold is primarily where money pours into during times of market duress. Bitcoin has been well known for its voracious appetite for large price swings. This shift would indicate that bitcoin is starting to become the safe harbor for more and more investors. The Wall Street Journal recently published this excellent piece detailing the rise in bitcoin vs gold investment. Should bitcoin volatility continue to stabilize, traders should start to contemplate longer-term positions. The US stock market has reached record Highs last year, and continue to hover near those levels currently. A pullback is likely considering most quantitative easing programs from major economical powers are winding down. Major central banks like the US Treasury have already instituted rate hikes, with many more looking to do so in the next 6–12 months. Should these rate hikes have a bearish effect on the financial markets, bitcoin price will be a likely beneficiary.